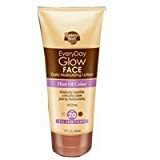 Banana Boat Everyday Glow Face Daily Moisturizing Lotion, Hint of Color, All Skin Tones, SPF 20, 3 Oz. 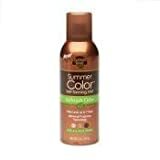 Self-Tanning Lotion with a Deep Dark Color. For All Skin Tones. Streak Free. Oil Free Lotion with Aloe Vera & Vitamin E.
Self Adjusting Color for a Natural Looking Tan.